Goodbye St. Peters Hall Yeovil. After serving the local community for 50 years, it's now being pulled down, to be replaced with a new community centre. 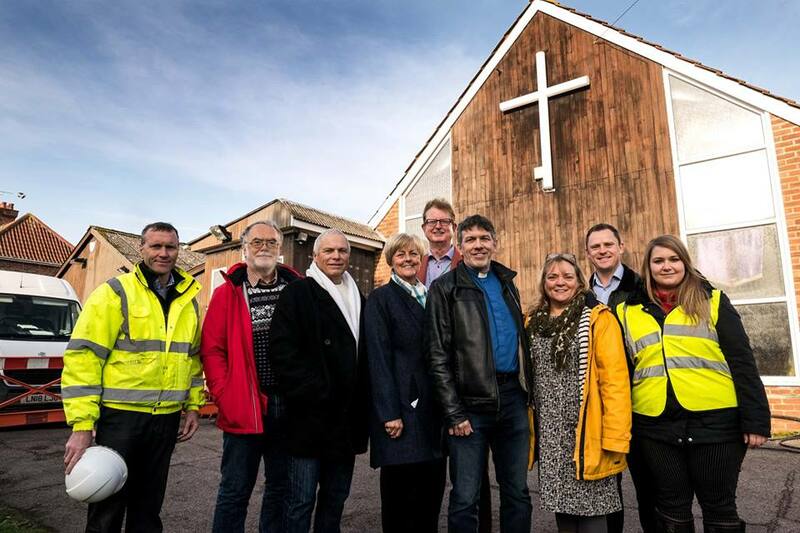 Between the the church, the community association, and partners from the local council and housing association, we've raised £927,000 of £945,000 required, and demolition started on Monday. BBC Radio Somerset did a piece earlier in the week, fast forward to 1h 32m in and then again 2h 34m in. John Clark in the second clip is a local councillor, and is the tall guy at the back. A few other news pieces, apologies for the duplication of news and photographs! It's amazing how God has brought together the funding, the team, and the vision for the project. It started with 4 people in a chilly back room in Jan 2014, wondering what a church of 20 elderly people and a fledgling community association could possibly do with a creaking old hall. It's notable how folk who aren't part of the church are regularly commenting how it's all come together, from the project team (with every skill we needed, and every job we needed doing had someone willing to do it), to the finances (£900,000 raised in 13 months).